Here is an old Sams Auto Radio Service Manual Vol 1. 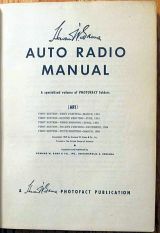 It is the 1949 Edition and is the Fifth printing on March 1956. 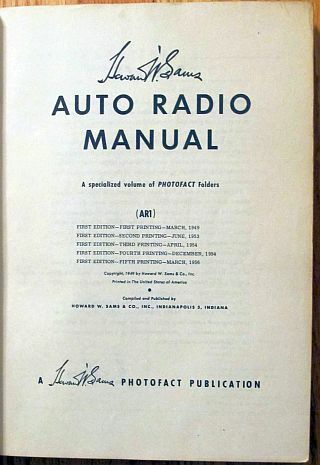 The AR-1 book includes schematics and service information for car radios between 1946 and 1949. 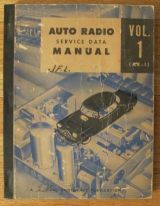 Not sure which book you need for your car radio? Download this zip file which contains the index for the Sams AR books from AR-1 (1949) to AR-37 (1965). Warning: the file is rather large at 3.12MB.